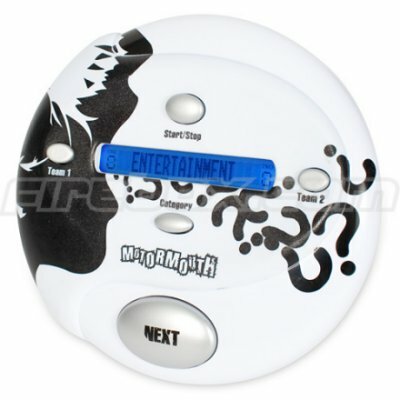 The idea is to do whatever it takes to help your team-mates guess the random word on Motormouth’s screen before the buzzer sounds. You can describe it, act it out, wave your arms – whatever. Just make sure you don’t say it. Correct answers equal points. It’s a bit like a fast-paced version of Give Us A Clue (whippersnappers get Googling) minus Lionel Blair and his D-list lackeys. You can buy Motormouth from Firebox for £19.95 (~$39).